I've had 2, yes 2, good hair days in a row people! This is cause for celebration. 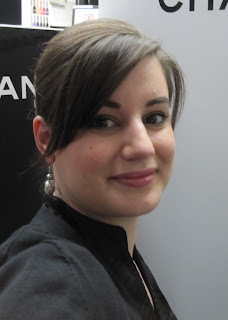 My bangs are doing the perfect swoopy thing, my updo is smooth and not totally devoid of volume. 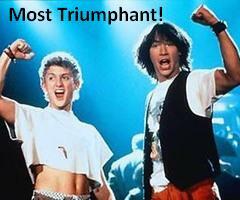 Yes boys, most triumphant indeed. How lovely it is to share life's little joys and victories with you. May you all have good hair days all weekend! Lovely do. Thank you for the Keanu picture. I jumped over from Deb! I thought that I had a good hair day all day, till we came home and looked through all the pictures we had taken. You probably look the same in reality as in your picture... seems like I never do. Hi Lilli, thanks for visiting! Here's to better hair tomorrow, in reality and in photos! Your hair looks awesome! I've not been having such good hair days myself. I think it's the humidity or maybe the stylist. ;-) Hope you have a great weekend of hair days. You could have no hair and you'd still be a lovely young lady. You're so cute. There is no way my hair are going to behave, they're just like me. I can get straight hair, but i'll be wildly curly in the inside, so what's the point? ...you should really see my hair right now!! I'm in front of the fan! !